One of the greatest qualities art has is the way it can transgress the mundane, prosaic experiences of everyday lives. And if there is a genre that can best fulfill the task, it would have to be the art of surreal. Whether they work within the framework of Surrealism or just enjoy creating otherworldly imagery, artists who work believing in the omnipotence of dreams and superiority of the subconscious have the power to draw the beholders into the majestic spaces of imagination where the mind roams beyond all constraints of reality. 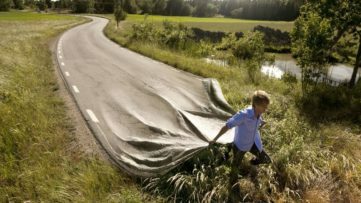 Beyond the bounds of logic and reason, there is a completely new world waiting to be discovered and surreal art opens that door for the observers. If you are looking for a way to expand your collection with some exciting and imaginative pieces, we have a few suggestions coming directly from our Marketplace that will surprise you and take you on a journey beyond real. 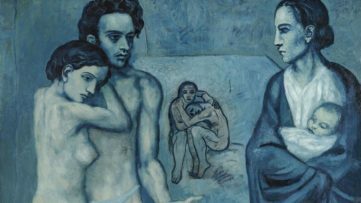 Is there a better way to start this list than with a work of one of the most beloved Modern Masters? 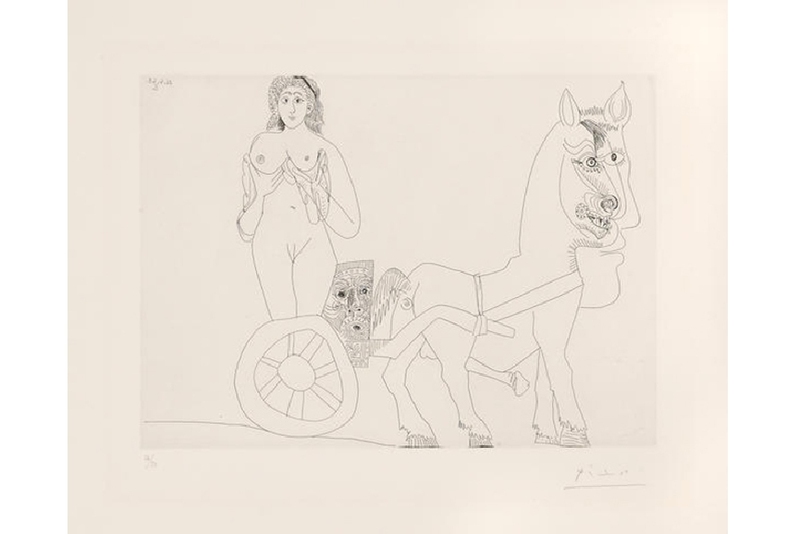 Pablo Picasso created this etching in 1968, as part of his 347 series, which are among the last hand-signed etchings and engravings the artist ever created. 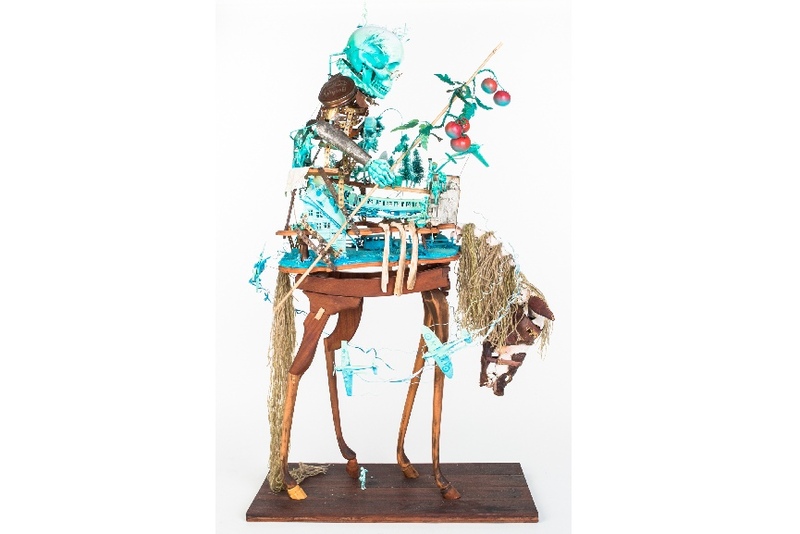 Like other artworks from the series, the piece Femme sur un char romain attelé à un cheval à demi humain was created in reaction to theoretical and conceptual art that dominated the art world in the 60’s, revitalizing the raw force of life and fantasy. 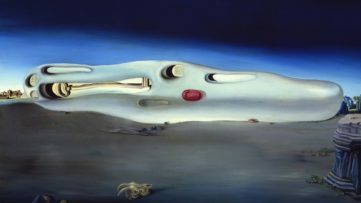 Surreal and erotically charged this piece is a jewel in the series that are gaining much attention in recent times at international auctions. 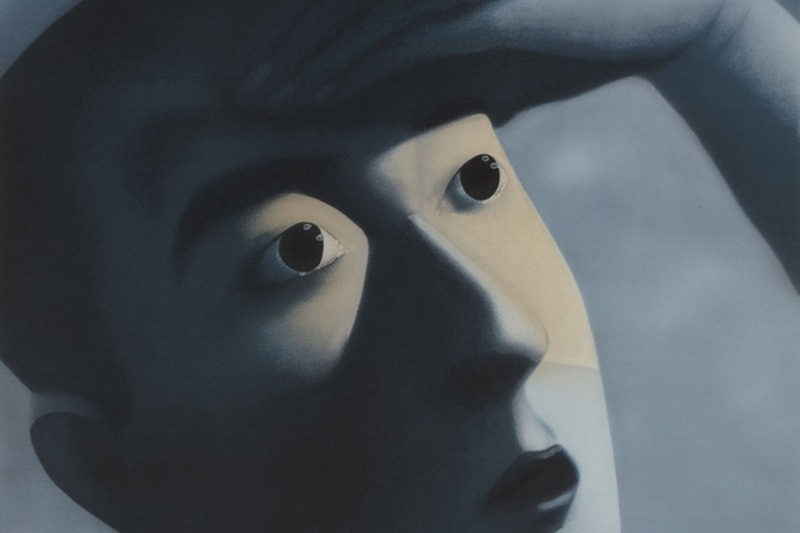 The lithograph Amnesia and Memory is the work of Beijing-based artist Zhang Xiaogang, one of the leading figures in Chinese avant-garde movement. 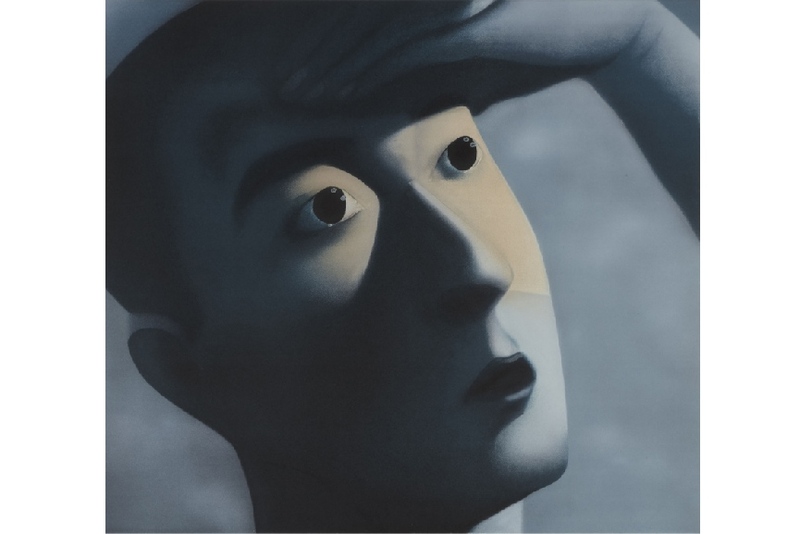 Deeply influenced by the European tradition of Surrealism Zhang Xiaogang creates works that explore complex questions of identity, intricate relations between individuality and cultural heritage. Amnesia and Memory comes from a set of twenty lithographs from The Storyteller’s Enchantments of Zhang Xiaogang inspired by family photos from the Cultural Revolution period and dealing with the notion of identity within the Chinese culture of collectivism. Read more about the piece! 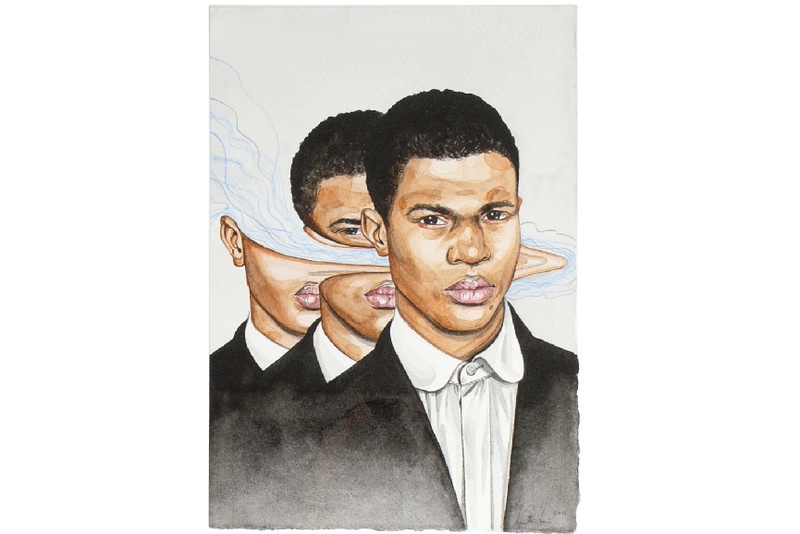 Created in 2013 the painting Ventral Stream is a signature work of Auckland-based artist Henrietta Harris known for her surreal watercolor and gouache portraiture. Through stunning technical skills, Henrietta Harris masterfully combines naturalism with the surrealistic approach, creating memorable faces, obscured and distorted by clean brushstrokes. Through physical transformation, the piece Ventral Stream captures various aspects of one’s personality, inviting us to take a closer look and discover the intimate details that hide behind the artist’s dissolving subjects. 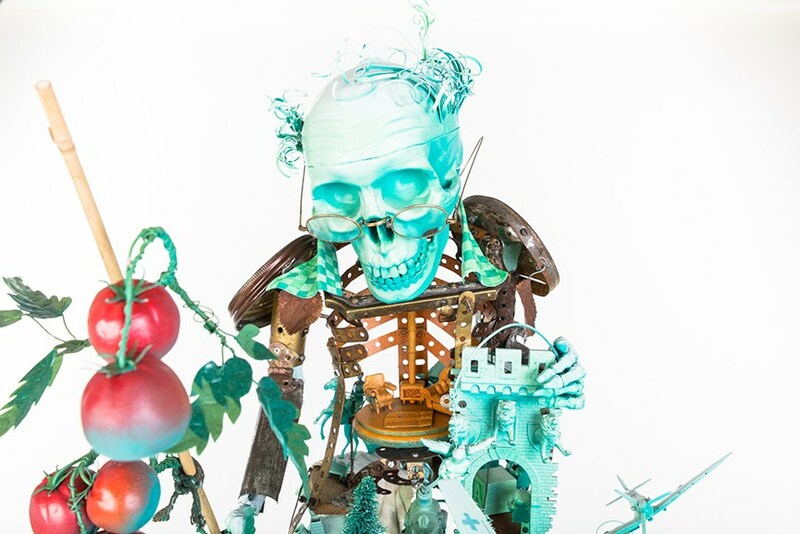 Working primarily with the recycled children’s toys and found materials, Stephen Ives creates intricate scenes and narratives rich in details, breathing a breath of fantastic and surreal into the ordinary objects. The piece Spiegel Im Spiegel created in 2015 is a complex sculpture, made of carefully assembled disparate elements. The piece was presented in the Bleak exhibition in Melbourne and it belongs to his recent body of work inspired by the equestrian figures of classical Europe. 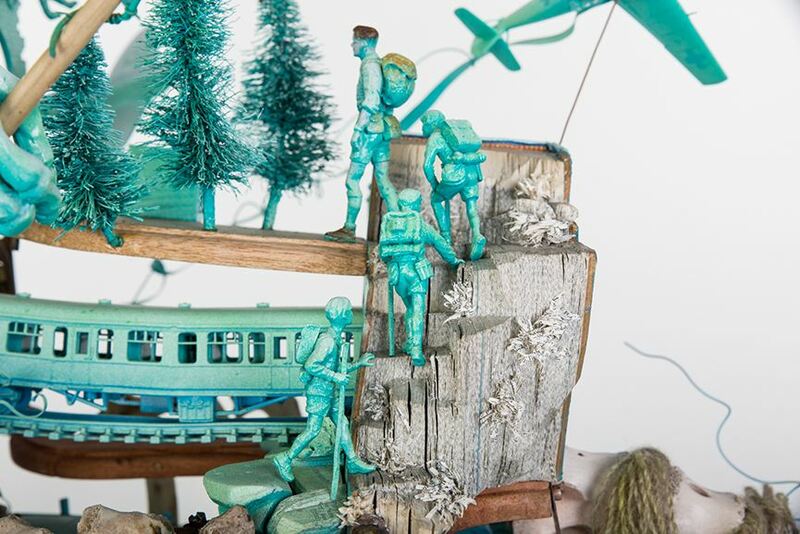 In the imaginative and innovative way, Stephen Ives approaches the idea human condition by juxtaposing the ideas of heroism and human fallibility. Discover details about the artwork here! The last piece is a print replica of the famous and widely popular mural created by the outstanding street artists Sainer and Bezt, collectively known as Etam Cru. The Polish duo enjoys creating large-scale pieces adorned with fantasy and fairytale elements, frequently surprising the viewers with their whimsical subjects situated in the unexpected and surreal settings. 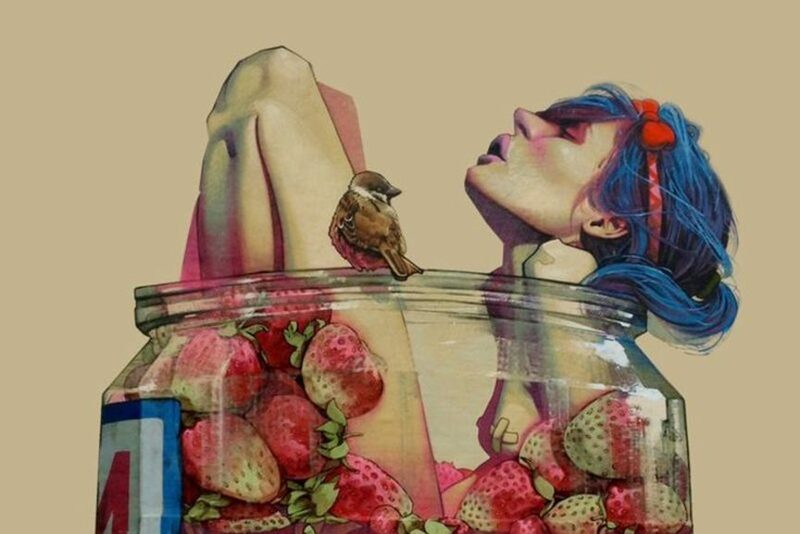 The mural Moonshine Girl, depicting a beautiful girl sitting inside a jar of strawberries was painted by Etam Cru in 2013 in Richmond, Virginia for the Richmond Mural Project and it was followed by the open edition print that can be yours for more than a reasonable price. Find out more about Moonshine Girl!